IN NEED OF ATTENTION: Baru (centre) explaining the situation at SK Long Tuma during the press conference. Also seen are Batu Lintang assemblyman See Chee How (left) and state PKR information chief Vernon Kedit. KUCHING: Schools throughout the state, especially those in the rural areas, must be audited to assess their need, says state PKR chief Baru Bian. 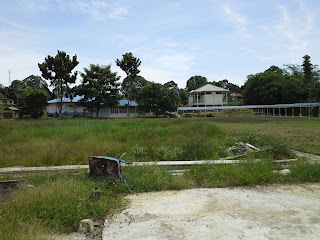 Citing SK Long Tuma in Lawas as an example, he said the pupils and staff were still waiting for new hostels and quarters after the old ones were razed to the ground more than two years ago. He said the proposed new hostels were supposed to be completed in February this year but until today, all that has been done was the foundation work. All works had apparently stopped. “The staff members are in the dark about the status of the project. They were only told by a sub-contractor that there is a problem with the contract,” Baru, who is also Ba Kelalan assemblyman, told a press conference here yesterday. The double-storey hostel used to accommodate over 100 pupils (boarders) but after the fire there is room for only 60 pupils in the temporary block. Only Primary 6 pupils are given priority to board. The others are left to find their own way to come to school each day. The pupils come from faraway places such as Pa’ Puti, Pa’ Kepulu and Pengalih. “Besides the unexplained delay in the project completion, there is another issue that needs some explaining; why are the replacement hostels built in single-storey cabin module style which requires more land. As it is, half of the school football field has to be sacrificed to make room for the hostels. Baru said another matter of utmost concern was the old wiring in the schools. He said he had been informed that the District Education office had applied for the school to be re-wired but so far no response. In the meantime, everybody had to put up with lights and fans that do not function properly. Baru said education was key to a nation’s progress and therefore, the state must spare no efforts in providing good basic educational foundation for the students who will be our best resource for the future. PKR will strongly oppose any new version of an Emergency Ordinance (EO) because the BN has previously used such legislation to stifle political dissent rather than to fight crime. Referring to reports of a new preventive law to tackle crime, PKR vice-president N Surendran said today that such a law would pose "grave danger to the civil and political rights of all Malaysians". The law is reportedly being drafted by a committee headed by Minister Idris Jala, and is due to be tabled in Parliament in September. "We will fight such laws at every stage of its tabling in the Dewan Rakyat, we will never surrender the fundamental rights of the rakyat,” Surendran said in a statement. Surendran noted that, on one occasion in July 2011, the EO had been “misused” to arrest six PSM activists including a member of parliament. "The police must also be freed from unnecessary political tasks on behalf of the BN, such as spying on and prosecuting opposition and civil society leaders and activists,” he said. The DAP's Bukit Bendera MP Zairil Khir Johari refreshed calls for the formation of an Independent Police Complaints and Misconduct Commission (IPCMC). "The only one way to fend off the negative perception is to implement the recommendations of the royal commission (of inquiry into police operations in 2005)," he said in a separate statement. He said there have been 12 cases of death in police custody this year alone, 13 cases of gun violence have been recorded over the past four months. The series of violent crimes prompted premier Najib Abdul Razak to moot an EO-type law, in modified form, to enable the police to cope with such incidents. The EO, which allowed the police to detain a suspect for two months without trial, was originally designed to enforce order after the May 13,1969 riots. It was abolished in 2011 and over 2,000 detainees were freed last year. However, human rights activists and lawyers have registered their objections to a return to the EO era. At a Proham forum, for example, it was argued that existing laws, like the amended Prevention of Crime Act 1959, provide sufficient powers for the police to deal with serious crime. COMMENT Resurrecting ‘middleman’ Jasbir Singh Chahl to try to whitewash the Scorpene scandal is hardly a scoop by the New Straits Times (NST) - his churlish account in the interview fails to answer the many questions raised by the scandal and the murder of Mongolian national Altantuya Shaariibuu. Suaram has all along stuck to the facts and this can be checked in our publication: ‘Questioning Arms Spending in Malaysia: From Altantuya to Zikorsky’ which I wrote in 2010. By no means does Jasbir disprove the chronology of events in the book or shed light on revelations by the French enquiry thus far. But first, let us examine the credentials of this man touted as the “architect” of the Scorpene submarine deal, the most expensive arms purchase by our country to date, costing well over RM7 billion. According to this report, in 2000 then private French company Thomson-CSF (now called Thales) had been working with a middleman named Jasbir Chahl in an attempt to sell a Crotale missile system to the Malaysian government. A middleman like Jasbir must be beaming with pride at being hailed as the “architect” of the Scorpene deal when in fact middlemen in international arms deals normally try to keep a low profile as Jasbir has done for so many years. According to the 2002 FEER article, Thales introduced Chahl to French government-owned DCN and the submarine deal was set in motion. Chahl then brought in Ibrahim Mohamed Noor, a businessman close to then finance minister Daim Zainuddin. Ibrahim’s private company, Perimekar, was to become the linchpin between the Malaysian and French governments. Ibrahim brought in Abdul Razak Baginda(left), a military analyst who headed the Malaysian Strategic Resources Centre and who was also adviser to then Defence Minister Najib Abdul Razak. In August 2001, Ibrahim sold Perimekar to Generasi Mulia, which served to hold the shares temporarily, paving the way for new, well-connected investors to step in. By January 2002, everything had fallen into place. Generasi Mulia sold its 100 percent stake in Perimekar to Ombak Laut, a private company owned by Abdul Razak’s associates. Ombak Laut then sold 40 percent to the Armed Forces Superannuation Fund (LTAT) and a sister company. Jasbir tries to justify the exaggerated payments to Perimekar. He tells us nothing new to what the Defence Ministry has told us. From the French investigations so far, the former finance director of DCN, Gerarde Philippe Maneyas, had made a claim for 32 million euros (RM124 million) allegedly used to bribe Malaysian officials for purchase of the Scorpenes. The budget minister had questioned such a large bribe although he did eventually authorise the tax break. From the French documents, it emerges that the commissions and dividends for the Scorpene deal were funnelled through two companies, Terasasi and Perimekar, both owned by Abdul Razak. His wife, Mazlinda (right in photo) is a director in Perimekar, while his father is a director in Terasasi. Malaysians have been told about Perimekar and its “coordinating service” in the submarines deal. But so far there has been no mention of Terasasi. Neither has Jasbir mentioned Terasasi. With the new French law and OECD Convention against Corruption in place after 2002, the French arms merchants had to find an alternative way to pay commissions to their foreign clients. The method used was to create “service providers” that could “increase invoices” in order to take the place of commissions. A commercial engineering contract was then signed between DCNI and Thales, referred to as “C5”. It covered 30 million euros in commercial costs abroad. The companies used in the Malaysian case were Gifen in Malta, Eurolux in Luxemburg and Technomar in Belgium. The travel expences of Abdul Razak and Altantuya were covered by these. Another “consulting agreement” was signed in 2000 between Thint Asia and Terasasi for 2.5 million euros. From the Paris Papers, we know that at least 32 million euros (RM144 million) were paid by Thales International (Thint) Asia to Terasasi. Altantuya was a translator. According to Abdul Razak’s bail affidavit, she met him in 2004 and became his lover two years after the submarine deal was signed. I don’t think the French officials who negotiated the deal needed a translator in the first place. What has transpired is that Altantuya knew about the deal from her liaison with Abdul Razak and she had come to Kuala Lumpur expecting a cut of the commission. During the murder trial, when Abdul Razak’s lawyer read out the events of the fateful night, he skipped the part about Abdul Razak going to then Deputy Prime Minister Najib’s(left) office. Abdul Razak, accused of abetting the murder, was acquitted in November 2008 without his defence being called, while the two police personnel charged with the murder - Chief Inspector Azilah Hadri and Corporal Sirul Omar - were sentenced to the gallows. After the verdict was made known, the government announced it would not appeal against the Abdul Razak’s acquittal. Sirul said he had been made a scapegoat by certain parties to protect their “evil plan”. The trial was deemed questionable by many observers. Apart from painstaking attempts to keep Najib’s name from being mentioned in the trial and probing the motive for the murder, other irregularities included: the sudden removal of the presiding judge just before the trial started without a plausible explanation to the lawyers; the changing of the head of the prosecution team at the last moment; the changing of the defence lawyers for the accused, one alleging interference by “third parties” in his work. A witness testimony by Altantuya’s cousin alleging that the victim had shown her a photograph of herself, Abdul Razak, Najib and “others” having lunch in a Paris restaurant was stopped by defence lawyers and prosecutors from testifying further. Nor did the court ask the witness to produce the photograph. In the course of the trial, evidence was given that Altantuya’s entry into Malaysia had been erased from the records of the Immigration Department. This could only have been directed by a higher authority. As we can see, this middleman in the Scorpene deal has hardly illuminated us on all these questions surrounding Altantuya’s murder. What is surprising is the naivete of the high-brow propagandists in the NST in not pursuing the answers to these questions. Any truth seeker would at least be interested to know the motive for the murder. This recalls Voltaire’s reminder that “… those who can make you believe in absurdities can make you commit atrocities”. KUA KIA SOONG is adviser to human rights NGO Suaram. 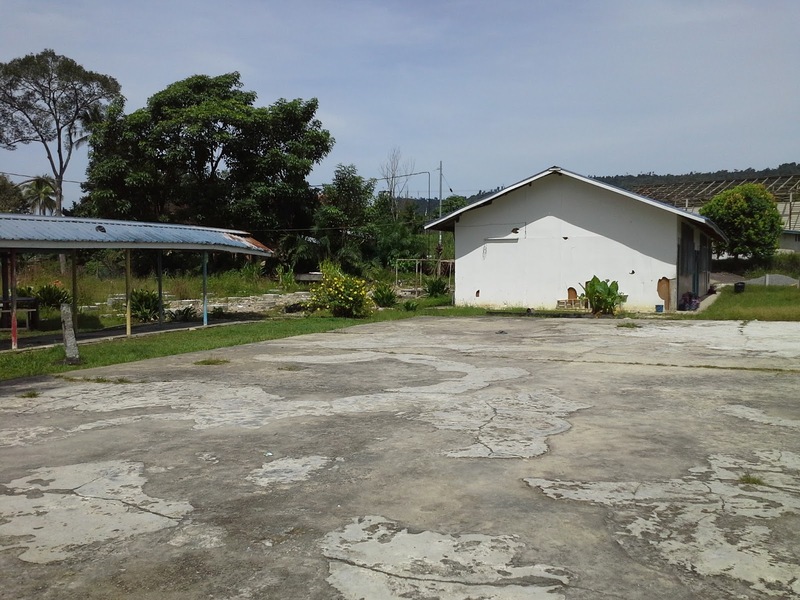 Two years after the dormitory and teachers quarters of SK Long Tuma, Lawas were destroyed by fire, the staff and students are still waiting for their new hostels to be built. The proposed new hostels were supposed to be completed in February this year but up until today, all that has been done is the foundation and the work appears to have stopped. The staff members are in the dark about the status of the project; they were only told by a sub-contractor that there is a problem with the contract. The burnt-down double-storey hostel housed over 100 students but after the fire there is room for only 60 boarding students in a temporary block. These students are from the farthest villages of Pa’ Puti, Pa Kepulu and Pengalih, and Year 6 students are also given priority. The other students are left to find their way to school each day. Besides the unexplained delay in the project, another issue is why the replacement hostels are single-storey cabin module designs which require more land, meaning half of the school football field had to be sacrificed to make room for the hostels. There is now no space for the students to engage in sports or games. This is a real tragedy because sports form such an important part of children’s education, especially in the rural areas. Sports and games contribute greatly to building healthy bodies, encouraging teamwork and cultivating sportsmanship in our children and depriving them of this is robbing them of a vital part of their education. Another matter of utmost concern is the old wiring in the school. I was informed that the District Education Office had applied for the school to be re-wired but there has been no response as yet. In the meantime, staff and students have to put up with lights and fans that do not function properly. A technician from the Education Office had inspected the wiring and concluded that the problem was due to overloading and old wires. “We are living dangerously”, the headmaster, En Meripa Geluko told me. Our children are our best resource for the future. Education is the key to a nation’s progress and we must spare no efforts in providing a good basic educational foundation for our students. I am appalled by the conditions of many of the schools in Sarawak. Fifty years after joining the Federation of Malaysia, the Federal government is still unable to provide even adequate facilities for education in Sarawak and I doubt that this scenario is what our forefathers had in mind when they signed up. The state government should conduct an audit of all the schools in Sarawak to assess their needs. There is a lot to be done in many of our rural schools, including SK Long Tuma. Politicians who are not satisfied with decisions made by election judges can appeal for a Federal Court bench to hear their complaints. The Judiciary's Corporate Communications and International Relations head Mohd Aizuddin Zolkeply said Chief Justice Tun Arifin Zakaria cannot personally interfere to rectify any decisions made by election courts. Aizuddin was commenting on a call from Opposition leader Datuk Seri Anwar Ibrahim who urged the chief justice to intervene in several election petitions which where thrown out on technical grounds and ordered to pay very high costs. Aizuddin, however, said any intervention in the election petition cases should be by way of judicial proceedings. Anwar made the call yesterday afternoon where he lamented that a spate of election petitions filed by Pakatan Rakyat (PR) were summarily dismissed. "A five-man bench will hear appeals although the earlier decision was made by one judge," he told The Malaysian Insider. For election petition cases, aggrieved parties can appeal in the apex court. Aizuddin said even the exhorbitant costs ordered to be paid to another party could also be raised during appeal. Anwar charged that the election petitions were dismissed merely on technical grounds and the merit of the cases were totally ignored. He said some of the technicalities raised were frivolous. For example, Anwar said the petitions for Machang and Selising seats were struck out on the basis the papers were not served personally by the petitioner himself to the respondents. He said this was quite ridiculous when everyone understands that parties in court acted through lawyers and did not go around trying to serve court documents themselves. Anwar said judges were also saying that the facts stated in the petitions were not sufficient. He, however, claimed this was not a good enough reason to dismiss the petition as the judge could ask for further details. He said this would be a better way to handle disputes when such important issues of election abuses were raised regardless whether it came from Barisan Nasional or PR. Anwar said another disturbing trend was that petitioners whose cases were struck out were ordered to pay high costs. For the Balik Pulau parliament seat, the court ordered payment of RM120,000 in costs. Anwar said such a collosal amount was not line with the existing trend in civil cases. So far 10 petitions from opposition candidates were thrown out without the merit of the cases being heard. - July 30, 2013. Amending several articles in the federal constitution to exclude Muslims in order to allow unilateral conversions of children to Islam, as suggested by the Perak mufti Harussani Zakaria, would have dire consequences, an inter-faith group said. The Malaysian Consultative Council of Buddhism, Christianity, Hinduism, Sikhism and Taoism (MCCBCHST) said the amendments would also “destroy” the foundations of the constitution. “Our view is that any such amendment as proposed would destroy the very fabric on which the constitution was built. “It would also fundamentally alter the character of the constitution, a constitution which was carefully drawn by the framers...after consultation with all stakeholders,” its president Jagir Singh said in a statement. In an article by Utusan Malaysia, later reproduced by The Star last weekend, Harussani said that Articles 3, 5 and 11 in relation to religion, liberty and freedom must be amended to exclude Muslims. “The provisions (which deal with the religion of the child) must be amended or added to, to exclude Muslims,” he was quoted byUtusan as saying. He was commenting on the landmark High Court decision last week to nullify the conversion of three children to Islam by their father Muhammad Ridzuan Abdullah, a Muslim convert. The court declared the conversion unconstitutional as it was not done in the presence of the children or their mother M Indira Ghandi. Harussani (below) was further quoted as saying that non-Muslims should not feel slighted by any amendments to exclude Muslims as this is part of the social contract, which saw non-Malays granted citizenship. The mufti added that disputes over the religion of a child should have been resolved in the Syariah Court by a Muslim judge. Calling this remark a “surprise”, Jagir said that the supreme law of the land is the federal constitution, while Islamic law only apply to a limited cases. He added that sanctity of the constitution is also part of the Rukunegara, and that all must accept and abide by its supremacy. Jagir said that any social contract would also have been reflected in the constitution. “The social contract generally accepted is that in return for citizenship rights to non-Malays, special help in the form of special position of Malays, for the reservation of quotas as in Article 153 was agreed...initially only for 15 years,” he said. The federal government should thoroughly investigate the shortage of diesel in Sarawak and identify the factors behind this. Apart from the re-sale of subsidised diesel, the other possibility is that some in authority are involved with syndicates to make profits, claimed Sarawak PKR chairperson Baru Bian. The diesel shortage, although a persistent problem in the state, has been critical over the past week or so, he told a press conference. Bian, the Ba’Kelalan assembly representative, said: “I just came back from Lawas (where I) was told that you cannot (even) buy a gallon of diesel. They will not sell it to you. “They told me that some people are selling (subsidised diesel) through some outlets ... (The supply) was deemed to have been delivered, but in fact the diesel was sold to somebody else. He said those involved with syndicate are making profits from two transactions - from the subsidy and then from re-sale of subsidised diesel. Bian did not fully agree with the Domestic Trade, Cooperatives and Consumerism Ministry’s claim that the shortage is due to hoarding. “Hoarding may be one of the factors, (but) I believe there are other factors. There is a need for the ministry to go deeper into the shortage,” he said. “I (also) don’t think the answer to the shortage is to increase supply ... members of syndicates (would be) very happy because, when you increase the allocation, they will make more profits. This is the truth of the matter. With effect from yesterday, oil companies have increased the supply of diesel to affected areas, according to the ministry’s Sarawak director Wan Ahmad Uzir Wan Sulaiman. Women, Family and Community Development Minister Rohani Abdul Karim has denied claiming that "most" of the recommendations by her ministry's taskforce on Penan women have been implemented. In an interviewwith Borneo Post published today, Rohani accusedMalaysiakini, without naming the organisation, of "spin" and being"unethical" for reporting otherwise. The minister added that she would "revisit" the matter to find out more details about the progress of the implementation process and meet the Penan women involved in the issue. "There was nothing for me to talk about yet during that time on the issue. All I said was that I was going to revisit the Penan issue, and only after that I can make a statement," she said. She was referring to a report by Malaysiakini on July 22 which quoted her stating that most of the recommendations had been implemented. Malaysiakini chief editor Fathi Aris Omar had stood by the report and urged the public to listen to the recording of Malaysiakini's brief conversation with Rohani. "All we did was ask her when she will fulfil her promise to meet the Penan women-folk and what she thinks was the most pressing recommendation which the taskforce had made in 2009," he said. Fathi added that the questions were a follow-up attempt after five Penan women from Middle Baram visited the Women's Ministry headquarters in Putrajaya in mid-June. The five had urged ministry officials to expedite efforts to implement recommendations by the ministry's National Taskforce to Investigate Allegations of Sexual Abuse Against Penan Women in Sarawak. They complained that most of recommendations were not implemented, contrary to what Rohani is claiming now. "We waited for a month but Rohani had not commented on the matter. So when we knew that she would be at the ACWC forum, we asked her about it after her press conference," said Fathi. ACWC refers to the Asean Commission on the Promotion and Protection of the Rights of Women and Children which met in Kuala Lumpur on July 22. The DAP’s Ipoh Barat parliamentarian, M Kula Segaran, has failed in his leave application to query the appointment of two ministers and three deputy ministers even before they took their oath as senators. Kuala Lumpur High Court judge Zaleha Yusof, dismissing his application this morning, said that appointments and swearing-in ceremonies are two different things. She said that she is looking the matter purely on law. There is no provision, the judge said, in the federal constitution which prevents appointment to the Senate before the appointee takes his oath. Justice Zaleha said similarly a minister can be appointed but as provided by clause 6 of Article 43 of the federal constitution, he cannot exercise his function before he takes the oath of office. “I agree with the respondents’ submission that the appointment has to take place before the oath or swearing in,” she said. Despite the judgment, she did not address the issue of the ministers and deputy ministers in this case who were appointed and had taken their oath in the cabinet first, before they legally took their oath as senators. Attorney-general (AG) Abdul Gani Patail appeared for the two ministers and deputy ministers. The five cabinet appointees had taken their oath of office as ministers or deputy ministers before the Agong, and were only later sworn in as senators - which was the basis of their appointments. There have been arguments on the issue, resulting in some of the ministers who were appointed not wanting to comment on the issue. The five were Ministers in the Prime Minister’s Department Abdul Wahid Omar and Paul Low, Deputy Ministers in the Prime Minister’s Department P Waythamoorthy, and Dr Loga Bala Mohan and deputy Domestic Trade and Consumer Affairs Minister Ahmad Bashah Md Hanipah. Kula Segaran noted that, by convention over the past 57 years, senators have taken their oath in Parliament before assuming their posts as ministers. “I have checked with the House (Parliament) and the term when they get their entitlement of rights and privileges is from the period they take their oath as senators,” he said. This, he said, will be the grounds of his intended appeal against the court ruling. Kulasegaran said he had also consulted constitutional experts and they say the same thing - you have to take oath in the Senate before taking a post in the cabinet. Lawyer R Kenghadaran (left in photo) said appointment and oath-taking is an integral thing. “You cannot omit one and go with the other. You cannot appoint a person and then the person takes the ministry role and makes ministry decisions, and then you can postpone the oath-taking. It doesn’t work that way. “Oath-taking is an integral part of an appointment, an appointment is not complete unless you had taken the oath. So administering the oath is the central matter. If you have not taken the oath, that means your appointment is null and void, your appointment is ineffective, so the essence of the story is simply this, appointment and oath taking must be conducted jointly,” he said. Constitutional lawyer Tommy Thomas had written in Malaysiakinithat prime minister Najib had made a constitutional blunder which saw them appointing the minister first before the appointment to the Senate.